If you’ve ever gotten up early on Thanksgiving to run a turkey trot, you know people do these 5K races dressed as turkeys or wearing turkey-themed apparel. Turkey trots are often charity fundraisers, but they’re also a way to get some exercise so you don’t feel guilty for gorging yourself on a huge meal later in the day. L.A.’s own Tofurky Trot and Vegan Food Fest gives vegetarians and vegans the chance to run a 5K and follow it up with a feast. 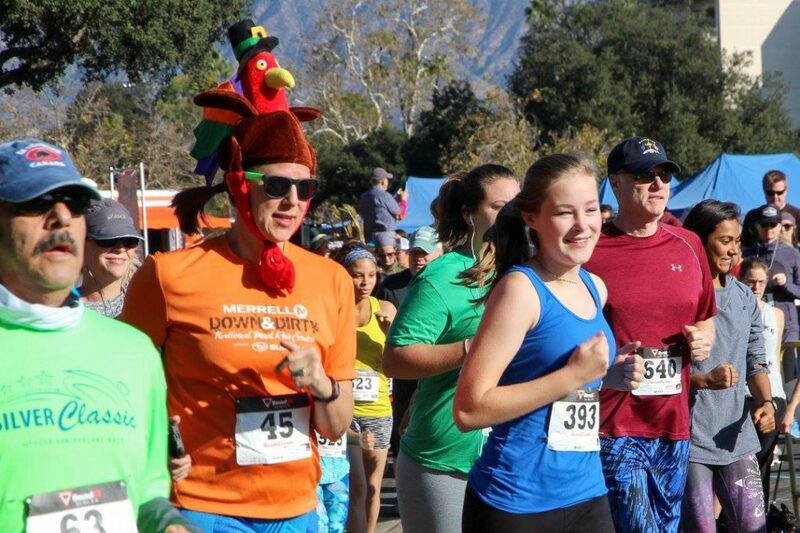 The Tofurky Trot, a race for people of all ages and fitness levels, takes place in Griffith Park this Sunday, November 12 from 10 a.m. to 3 p.m. This year’s event is sponsored by Tofurky and is organized by the Factory Farming Awareness Coalition, which educates people about the impacts of factory farming and food choices on animals, social justice, the environment, and public health. “It’s a fun way to encourage people to branch out and explore a more compassionate Thanksgiving meal, try some delicious foods, and to encourage the health of the community by getting people active. It’s also great to bring people together,” said Katie Cantrell, executive director of FFAC. The event is family-friendly, and well-behaved dogs are welcome. There are prizes for first place finishers, best costume, and cutest dog. Dress as a turkey, a Tofurky, or the veggie-friendly costume of your choice—and feel free to dress your dog up, too. Tofurky Trot tickets are $40 in advance or $50 on race day, and they include admission to the post-trot Vegan Food Fest. Food vendors include Taqueria la Venganza, Mama’s International Tamales, Vegana Casera, Avocado Mama, GT’s Kombucha, Better Beans, Charlie’s Brownies, Pies by Domonic, Cocobella Creamery, Ripple Foods, and the Word of Mouth Food Truck. There will also be representatives from local nonprofits, and Catty Wagon will have adoptable kittens.